Explore beautiful Umbria, one the best undiscovered wine areas in Italy, visit selected Wineries and taste the world famous wines of Umbria: Montefalco Sagrantino DOCG, Torgiano Rosso Riserva DOCG and Orvieto DOC. 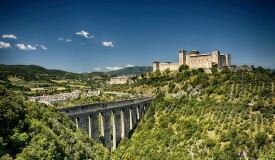 Join us on a 7-Day Wine Tour of Umbria, central Italy. 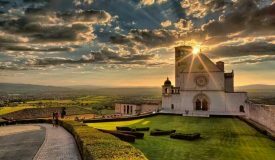 On this tour we will take a trip through the region, tasting its wines and visiting its vineyards and wineries as well as the beautiful towns of Spoleto, Assisi, Orvieto, Montefalco and Bevagna. On the last day, we will also explore the scenic area around Lake Trasimeno and cross the border into Tuscany, to taste one of Italy’s most renowned wines: Vino Nobile di Montepulciano DOCG. 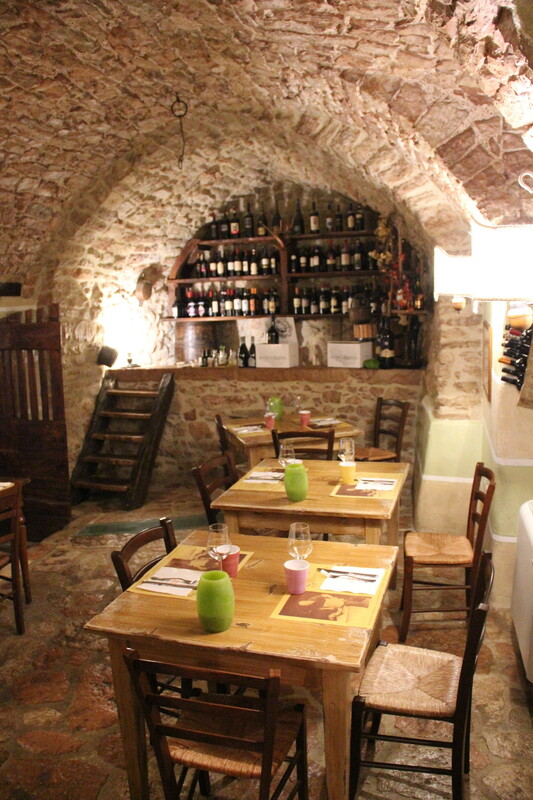 Enjoy delicious Umbrian food in some of Umbria’s best restaurants. Contact us for more information on departure dates and booking. Day 7 Farewell - Time to say "Arrivederci"
After checking in at your elegant, 4-star Hotel, in the beautiful town of Spoleto, we will start our “Wines and Towns of Umbria” Tour with a guided walk of Spoleto’s historical centre, followed by a fantastic Wine Pairing Dinner at an award-winning Osteria in the countryside. Today, we are going to explore the Montefalco*/Bevagna area with private tours of selected local wineries and tastings of their excellent wines, which are considered to be among the best in Italy. Weather permitting, we will start the morning with a gentle stroll through the vineyards. 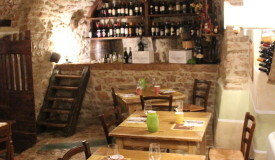 Lunch at a typical local restaurant or at one of the wineries. Montefalco, known as “the balcony of Umbria” because of the panoramic views it enjoys, is now famous in Italy for its wines, but it is also home to some important works of art, such as the 15th century fresco cycle by Benozzo Gozzoli, depicting the life of Saint Francis of Assisi. 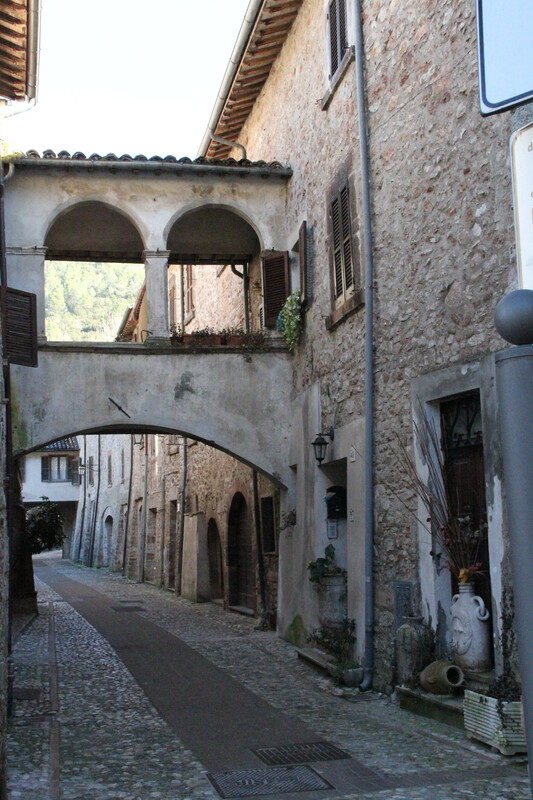 Bevagna, known as “Mevania” in Roman times, is a true gem that retains some amazing Roman and medieval monuments . If you are taking the Tour in June, you’ll be able to step back in time, during the renowned “Mercato delle Gaite” Festival, a 10-Day re-enactment of everyday life during the Middle Ages. Pizza night at one of our favourite pizzerias in Spoleto. *Montefalco Sagrantino is one of only two Umbrian wines to be awarded the prestigious Italian DOCG (Denominazione di Origine Controllata e Garantita –the highest Italian wine appellation) and the area also produces the excellent Rosso di Montefalco. “My wine is the ink I use to describe my land and myself, my soul is in it” – says Francesco, the young farmer we are visiting today. Valnerina is an area of outstanding natural beauty, famous for its cured meats, precious black truffles and the spectacular Marmore Falls, created by the Romans in 271 b.C. Its total height is 165 m (541 feet), making it the tallest man-made waterfall in the world. Wine has not normally been associated with Valnerina, until now but Francesco’s Winery is quickly changing this perception, with surprisingly fresh, natural wines. 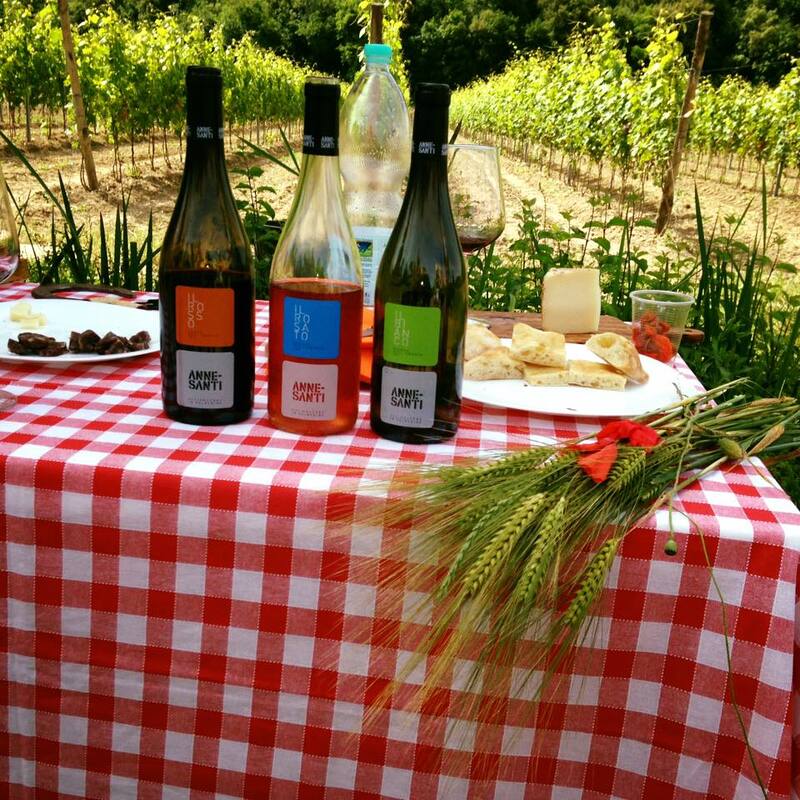 Today we are going to enjoy some of Valnerina’s highlights: a walk at the Marmore Falls, lunch of local specialties at Osteria Baciafemmine in picture perfect Scheggino and Winery Tour with the wine-maker himself, followed by tastings in the vineyards at sunset. Dinner tonight is free, with our recommendations. 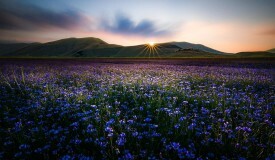 Today we will spend the day in the beautiful Orvieto area. Orvieto, founded around three thousand years ago as Velzna by the Etruscans, played such a primary role within the Dodecapolis of southern Etruria, that it is deemed to have become the seat of the Fanum Voltumnae, the holy place of the Etruscan populations. Orvieto is also famous for its stunning striped Gothic cathedral, containing The Last Judgment fresco by Fra’ Angelico and Luca Signorelli. Our tour of Orvieto will also stop by the Pozzo di San Patrizio (Saint Patrick’s Well) where, if you want, you can descend the 248 steps of the double spiral staircase. Wine tasting lunch at a beautiful Winery followed by visit to a Goat Cheese Farm where we’ll enjoy a tour and presentation of their much sought after produce, accompanied by local wines. Dinner tonight will again be free but with our recommendations. 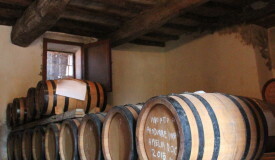 Today we will visit 2 unique Museums: the Wine Museum and the Olive Oil Museum in Torgiano. Both are run by the Fondazione Lungarotti, set up by the well-known Italian wine-making family who also produces the Torgiano Rosso Riserva, the second of Umbria’s two DOCG wines, as well as a number of other excellent wines. “Rubesco Riserva Vigna Monticchio 2012” has just been voted Second Best Italian Red Wine and Best Italian Native Wine, a great way to celebrate the DOCG’s 50th anniversary! Following the museum visits we will have a tasting of Lungarotti wines and lunch at our friend Federico’s small Winery, cooked by his Chef wife. 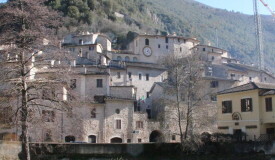 In the afternoon we will visit the town of Assisi, known throughout the world as the birthplace of Saint Francis. 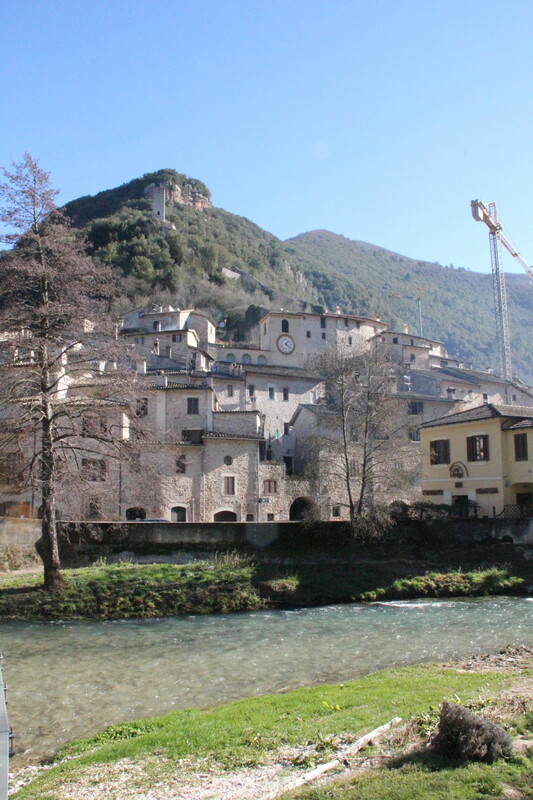 We will take a guided walking tour through the medieval streets lined with craft shops and delicatessens and see the main sights, including the spectacular Basilica of Saint Francis with its frescoes by Giotto. Dinner free with our recommendations. 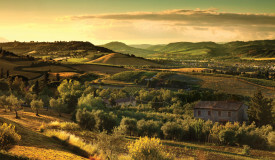 The Tuscan town of Montepulciano* and its wines don’t need much of an introduction, but the bordering area of Lake Trasimeno instead is still off the roads more beaten by wine lovers. 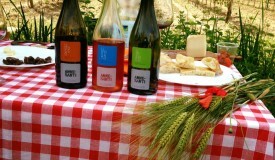 Umbria today resembles a large “wine laboratory”: every year we seem to discover new producers and new styles. We’re absolutely sure that you’ll enjoy meeting the young owner of this lakeside Winery and her exciting, high quality wines, before a pleasant stroll and lunch in nearby Castiglion del Lago. Afternoon tour of Montepulciano before our special Farewell Dinner, held at one of the Antinori family Tuscan Estates. 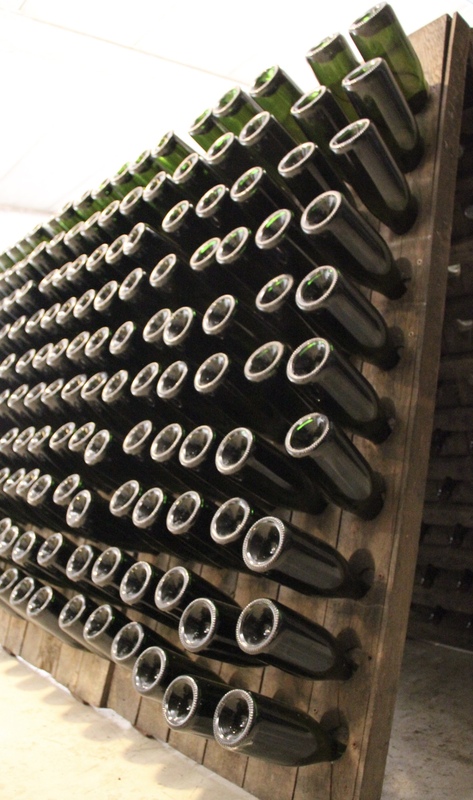 The Antinoris have been making wine for over six hundred years, an incredibly long history, spanning 26 generations. 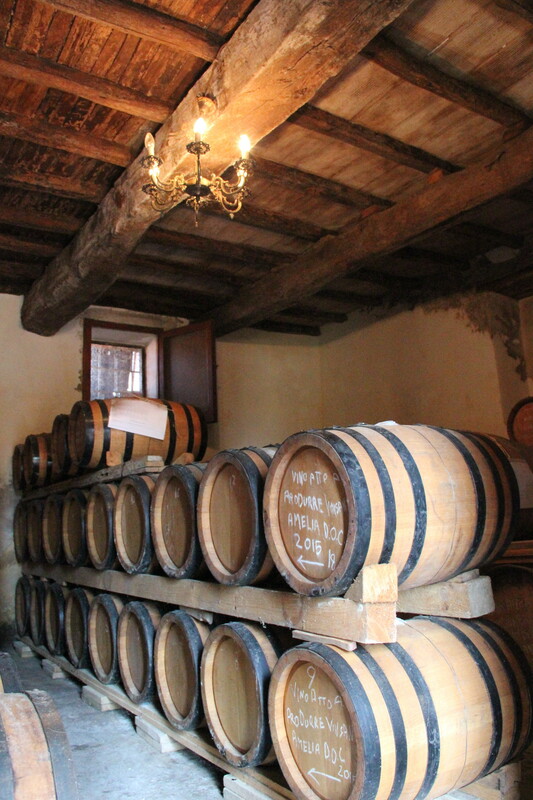 *Montepulciano produces a Rosso di Montepulciano DOC, a Vino Nobile di Montepulciano DOCG and a Vin Santo di Montepulciano DOC. 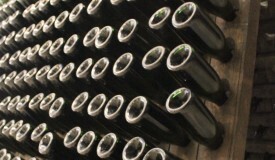 As we will see, the main difference between a Rosso di Montepulciano and a Vino Nobile di Montepulciano is the time that each are required to age: Rosso di Montepulciano wines are meant to be drunk when young and are not aged long, while Vino Nobile wines are meant to be aged for a longer period of time, and intended to be cellared for ten years or, in many cases, more. 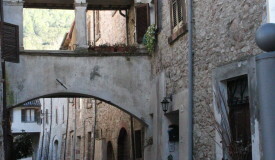 Day 7 - Farewell - Time to say "Arrivederci"
This tour can be customized for private groups and couples. The tour can also easily be extended by adding one or more of our other tours before or after this tour – see our other Group Tours and Custom Tours.